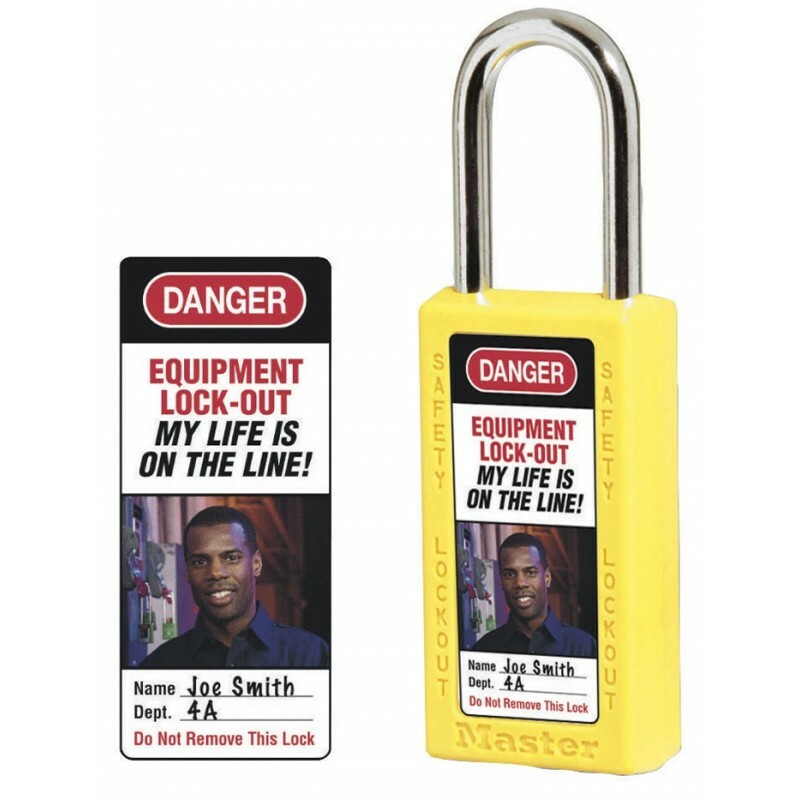 Text reads "Danger, Equipment Lockout, My Life Is On The Line"
Lockout-tagout (LO/TO) safety procedures, as defined by Occupational Safety and Health Administration (OSHA), require that lockout devices be durable and standardized. 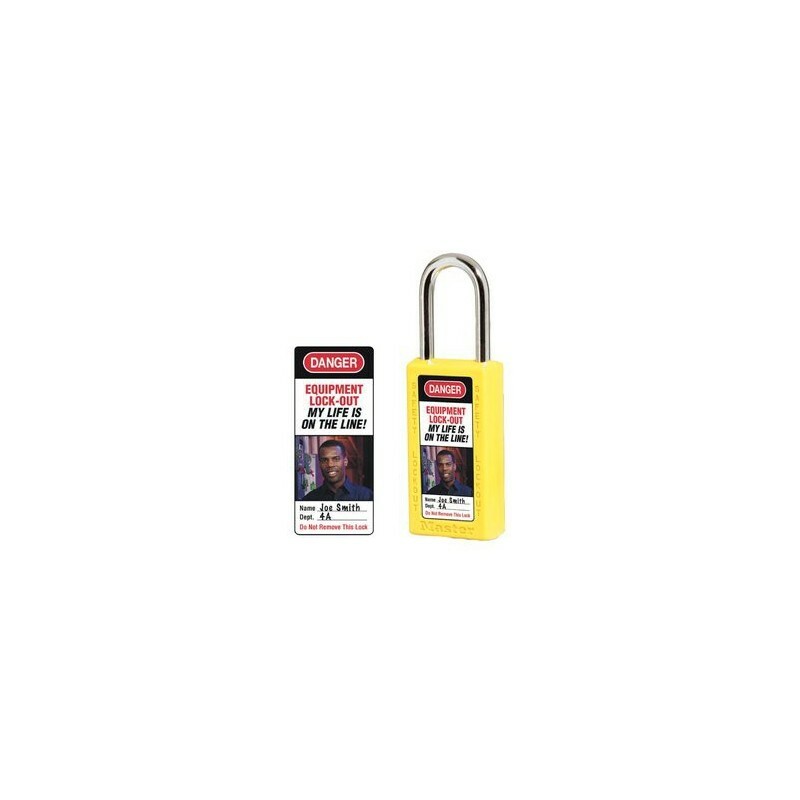 Lockout devices use color, warning labels or tags, and a physical barrier to temporarily prohibit machine operation or power activation, and reduce accidents, during maintenance or repair. These labels serve to add a human face to the dangers presented by a lockout situation.